The clock is ticking! You have mere minutes to get in, steal what you can, and get out. But be careful, your cohort may not have your best interest at heart. You all know there isn't enough money to go around, but who will turn first? 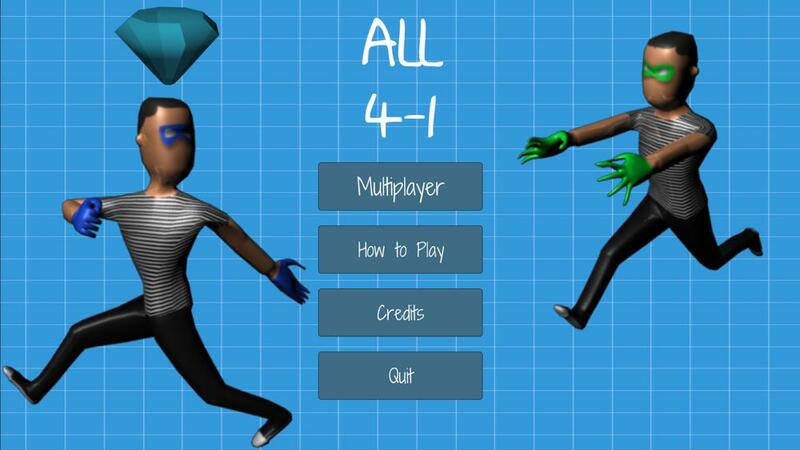 ALL 4-1 is a 4-player online bank heist game centered around the element of simultaneous cooperation and competition of the four players who must together attain a certain minimum amount of money, while still striving to have more money than their "allies". The players move around a darkened bank vault with a top-down perspective, collecting all the money they can find, setting traps for their enemies, but working with them to open more complicated sections of the vault.